John Sloss is a principal at the media advisory firm, Cinetic and partner in Sloss Eckhouse LawCo. Through Cinetic, he produces motion pictures and television, provides various content sales and corporate advisory services, and presides over a rapidly growing talent management division. The films he has produced or executive produced include Richard Linklater’s BOYHOOD, LAST FLAG FLYING, and “BEFORE” Series, Todd Haynes’s WONDERSTRUCK and I’M NOT THERE, Peter Farrelly’s Academy Award winning GREEN BOOK, Errol Morris’s THE FOG OF WAR, Kimberly Peirce’s BOYS DON’T CRY, Jennifer Westfeldt’s FRIENDS WITH KIDS, and Ethan Hawke’s BLAZE. In addition to his ongoing roles at Sloss Eckhouse LawCo and Cinetic Media, John founded Brand New Story, a branded content production and advisory firm, alongside David Gordon Green earlier this year. He also founded Filmbuff, a digital distribution company, which he later sold. 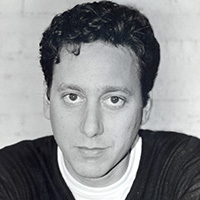 He founded Producers Distribution Agency in 2010, a theatrical distribution company which released Banksy’s EXIT THROUGH THE GIFT SHOP, Asif Kapadia’s SENNA, Emilio Estevez’s THE WAY, and Katie Dellamaggiore’s BROOKLYN CASTLE among other titles. He also founded the groundbreaking digital production and distribution company InDigEnt alongside Gary Winnick and IFC Films. John has handled the sale of over 600 films including NAPOLEON DYNAMITE, LITTLE MISS SUNSHINE, THE KIDS ARE ALRIGHT, PRECIOUS, EXIT THROUGH THE GIFT SHOP, AMY, KNOCK DOWN THE HOUSE, and many of the most iconic independent films of the past 25 years. In addition, he advises a range of corporate entertainment clients across film and television to shape business strategies and support the growth of production, distribution, and marketing capabilities. Among the filmmakers he has had a long association with, a selection includes Richard Linklater, Ethan Hawke, Todd Haynes, Errol Morris, John Hamburg, Jake Kasdan, Brett Morgen, Justin Lin, Asif Kapadia, Kevin Smith, Gary Winick, Rebecca Miller, Matthew Heineman, Alex Gibney, Whit Stillman, Charles Ferguson, and Christine Vachon. He lives in New York with his partner Bronwyn Cosgrave, and his children, Loulou and Henry.